- Apple has added support for a separate recovery partition, hiding away utilities needed for repair and troubleshooting right on the user's hard drive. The new system will allow users to boot to the recovery partition without the need for an operating system disc. The move, along with the shift to Mac App Store distribution for the developer preview, signal a reduced reliance on DVDs that may become important if other notebooks follow the MacBook Air's lead and see their internal optical drives removed entirely. - As noted by MacGeneration [Google translation], Apple has added TRIM support in this initial developer build of Mac OS X Lion. TRIM support provides for optimization of solid-state drives by cleaning up unused blocks of data and preparing them for rewriting, preventing slowdowns that would otherwise occur over time as garbage data accumulates. - Mac OS X Lion requires a minimum of an Intel Core 2 Duo, leaving out compatibility for Apple's earliest Intel-based machines offering Core Solo or Core Duo processors. - CNET notes that Apple has apparently invited a number of security researchers to test out Mac OS X Lion, a move that seems to signal a more open relationship with those who are trying to find security vulnerabilities in Apple's software. Because when your neighbor installs Lion, his version will leap across to your house and kill your old MacBook? 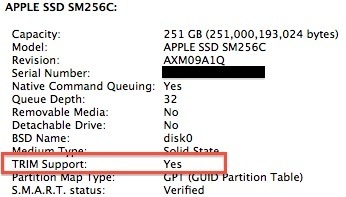 Does that mean it will run crappy on a 2010 MBP or will it run smoothly? 2010? Really? That is really old! What possible reason would you have to still be using that? Didn't that come installed with Jaguar or was it Panther? Does it even run Leopard? I think it is time to upgrade that antique! Seriously? People are whining that their now 5 year old computers won't be supported? :rolleyes: That's how technology progresses. 5 years encompasses a lot of technology. A new computer is also a significant investment for some, considering the continually sucky economic climate. Given that, I'd say you're a little too quick to dismiss people's concerns.